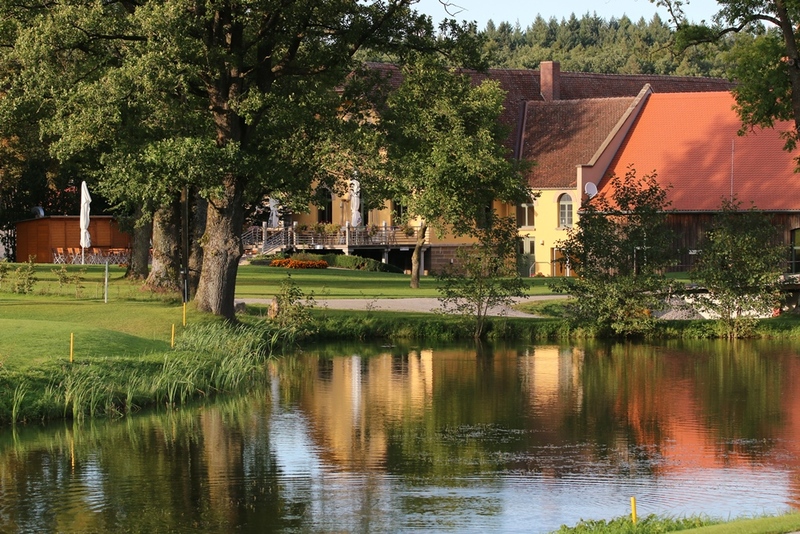 75 hectares of greenery await you around the old country estate of Schönbronn. The modern 18-hole championship course is in the middle of the natural beauties of Frankenhöhe, just a few kilometers from Rothenburg. Golfing in winter? No problem thanks to our winter greens! Four different tee boxes guarantee a genuine challenge even for the most ambitious golfers. Beginners can book an inexpensive taster day to establish whether the sport is for them. The course is slightly hilly, includes several water hazards and quite demanding from a sporting perspective. Dogs permitted provided they are on a leash, GPS devices permitted and the green fee makes no distinction between foreign golf clubs, VCG or DGV members with different IDs (vRS, VS, etc.). Please check the course website for current green fees.